'Sucker Punch' Mega Prize Pack Contest - Winner! Thanks to everyone who entered, and as always keep an eye out as we'll have another great contest coming soon! To celebrate the March 25 release of Sucker Punch, we're giving away a mega prize pack filled with over $350 worth of awesome Sucker Punch swag to ONE lucky winner. Led by Babydoll, the girls engage in fantastical warfare against everything from samurais to serpents, with a virtual arsenal at their disposal. Together, they must decide what they are willing to sacrifice in order to stay alive. But with the help of a Wise Man (Scott Glenn), their unbelievable journey - if they succeed -will set them free. 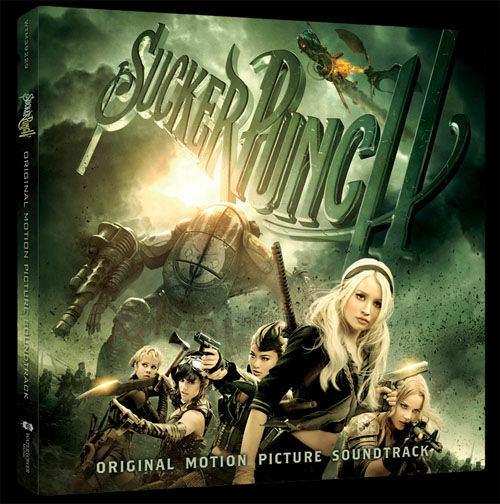 Born from the creative vision of filmmaker Zack Snyder (Watchmen, 300), Sucker Punch features an ensemble cast of young stars, including Emily Browning (The Uninvited), Abbie Cornish (Bright Star), Jena Malone (Into the Wild), Vanessa Hudgens (the High School Musical films) and Jamie Chung (Sorority Row). The film’s main cast also includes Carla Gugino (Watchmen) and Oscar Isaac (Robin Hood), with Jon Hamm (The Town, TV’s Mad Men) and Scott Glenn (The Bourne Ultimatum). Zack Snyder directed Sucker Punch from a screenplay he wrote with Steve Shibuya, based on Snyder’s story. Snyder and Deborah Snyder produced, with Thomas Tull, Wesley Coller, Jon Jashni, Chris deFaria, Jim Rowe and William Fay serving as executive producers. The behind-the-scenes creative team includes Academy Award-winning production designer Rick Carter (Avatar) and Watchmen and 300 veterans director of photography Larry Fong, editor William Hoy and costume designer Michael Wilkinson. The music is by Tyler Bates and Marius DeVries. Warner Bros. Pictures presents, in association with Legendary Pictures, a Cruel and Unusual Production, a Zack Snyder film, Sucker Punch. Opening nationwide in theaters and IMAX on March 25, 2011, the film will be distributed by Warner Bros. Pictures, a Warner Bros. Entertainment Company. Sucker Punch has been rated PG-13 by the MPAA for thematic material involving sexuality, violence and combat sequences, and for language. 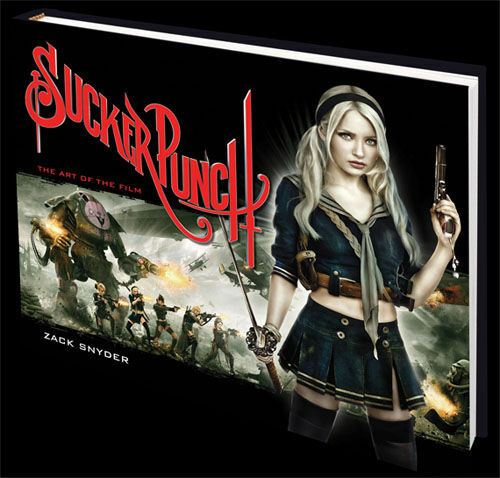 In addition to the exclusive Sucker Punch Prize Pack, one lucky grand prize winner will also win some awesome Sucker Punch merchandise from WBShop.com. In "The Art of Sucker Punch", Zack Snyder takes you on a personal journey through his stunning new movie with eye-popping on-set photography by Clay Enos and hundreds of detailed concept sketches and costume designs. Visit www.titanbooks.com for more information. Enter the Zippo/Sucker Sweepstakes! Go to Zippo.com for your chance to win a limited edition tribute lighter, CD and movie poster.